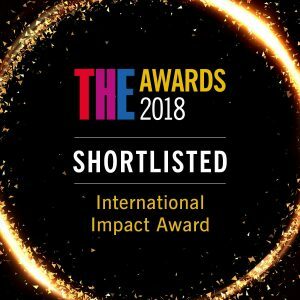 The Faculty of Education‘s collaborative project with the Palestinian Ministry of Education and Higher Education, the Teacher Education Improvement Projects (TEIP), has been shortlisted by the Times Higher Education for the prestigious International Impact Award. The US$300,000 World Bank funded-project is an expansion of the previous TEIP undertaken in 2012 and 2015 which aimed to enhance the teaching practice of undergraduate degree programmes through staff development and develop training modules to upgrade the teaching competences of practicing teachers. In the new phase of the project, three additional universities involved in teacher education were added. 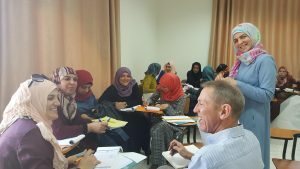 TEIP continues to enhance the quality of both pre-service and in-service teacher training through wide-ranging programmes of curriculum renewal and skills development and mentor training to transform the quality and effectiveness of the entire teacher education system in Palestine. The award ceremony will take place in London on 29 November 2018.